The first line of this story from the local ABC affiliate in Houston says it all: “A licensed cosmetologist is the latest person arrested in a police crackdown on illegal medspa procedures.” This time, a local cosmetologist’s mugshot is accompanied by the now-all-too-familiar scene of a med spa employee being led away in handcuffs and charged with the unlawful practice of medicine. 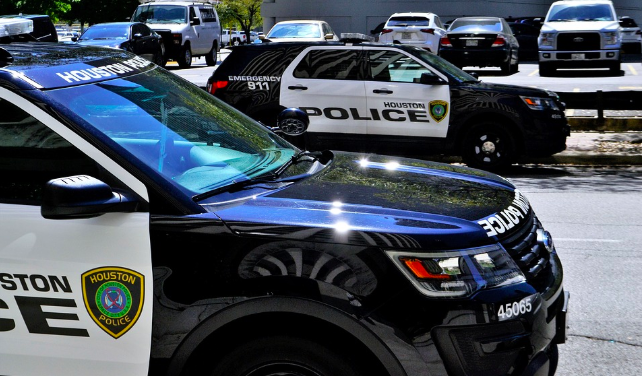 The latest arrest appears to be correlated to the original two, which all emanate from Savvy Chic MedSpa in Spring, Texas. Savvy Chic MedSpa cosmetologist Melissa Galvan allegedly prescribed a weight loss pill to a patient. The patient ended up in the hospital after experiencing chest pains which led to the arrest. According to the news report, Houston PD believes that Bogle, Springer, and Galvan all worked together to “unlawfully practice medicine.” According to investigators, the prescription pad used by Galvan belonged to Dr. Springer. You can read the full story here (also posted in the AmSpa news section). The fact that we have had two undercover stings and four arrests in the last month at Houston med spas is startling. While we have been saying for years that enforcement is coming, I never believed we would see this type of concerted and targeted effort to take down illegal med spas. Seeing med spa owners, injectors, and medical directors led away in handcuffs has got to be a sobering feeling for area med spas, regardless of whether they are compliant or not. There is a lot to learn from this and I promise there will be more to come. I will put together some takeaways for Texas med spas once I gather my thoughts and learn a little more. In the meantime, please check out AmSpa’s legal summary for the latest on the law. Being approved for a business loan for a medical spa practice isn’t a process that many are familiar with, and the thought of it can seem daunting. 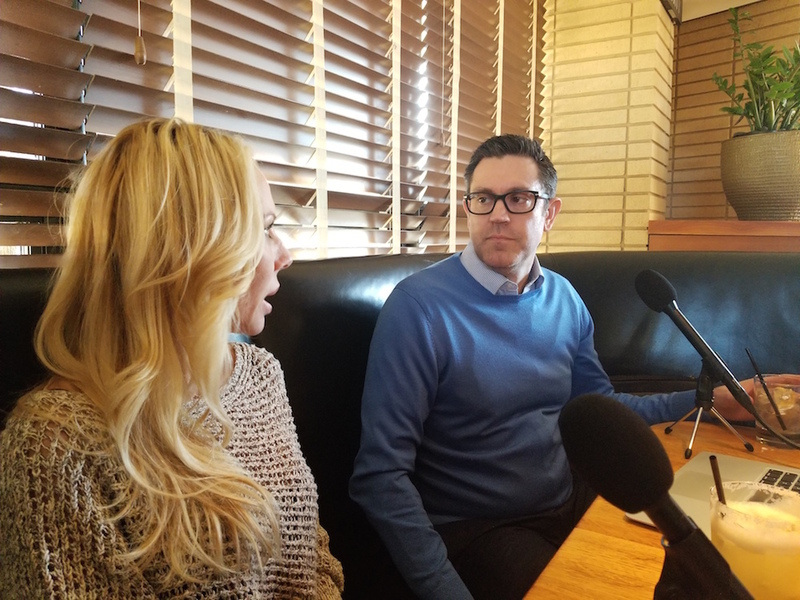 AmSpa recently recorded an episode of the Medical Spa Insider podcast with Jeremiah Johnson and Chris Maiwald of Wells Fargo. Check out the quick Q&A below and listen to the episode to get answers to your medical spa lending questions. 1. People tend to either be unfamiliar with commercial lending or intimidated by it. Can you describe how you, as a lender, approach the lending process with a new entrepreneur? Is it a difficult process or relatively painless? Each lending scenario is different. However, I find the lending process to be relatively painless when the borrower/entrepreneur is responsive. My approach to lending is to offer financial expertise to my clients based on their business’ unique needs. My team and I work with our customers to offer them a range of financial services, including credit and cash management. 2. Getting a commercial loan has been difficult, at least historically, in this industry. Are startup loans for med spas available? How hard are they to get? Yes, start up loans for med spas are available. While each scenario and loan application is different, it is important to work with your banker to determine your best loan options. 3. How does the overall process work? How long does it take? What information does the borrower need? Although we have a standard process that all loans will follow, each customers’ business scenario and needs are different. Therefore, the timing will vary from customer to customer. Most loan applications can take between 45 – 60 days depending on the complexity of the project. Projects that include real estate can take up to 60 days, due to the time it takes to obtain appraisals and environmental assessments. A start-up loan without real estate generally takes less time. Equipment-only loans generally can take anywhere from 3-21 days depending on the documents needed and how fast the entrepreneur submits them. Typically, we need a copy of an application, personal financial statement, 3 years of business and/or personal tax returns, and a resume. 4. How detailed a business plan should the entrepreneur have? Should they have pro formas for 1 year, 3 years, 5 years? How specific/detailed should it be? Your business plan should serve as a road map to the success of your business. A detailed plan is great, but from a bank’s perspective, we look at a range of different numbers, what type of project you are taking on and the associated risk. 5. Typically how much of a down payment does the entrepreneur have to come up with? Any rule of thumb? Every loan transaction and customer is different and evaluated on their own merits. Generally, down payment requirements are up to 30% of the total project cost. I always encourage our customers to call their banker to discuss the project they have in mind. This allows our team to get a better understanding of the customer’s needs and develop a plan for their specific business scenario. 6. Are these loans typically personally guaranteed? Not all business loans require a guarantee, but all SBA loans do require a personal guarantee. Talk with your banker to learn more about guarantees required by the lender. 7. Why is it important to use a lender familiar with health care? Medical aesthetics specifically? 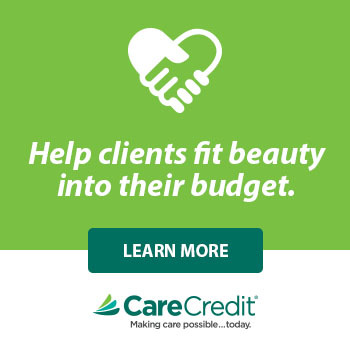 Lenders who fully understand the healthcare and medical aesthetics industry can speak the language that can help get borrowers through the application process and, if eligible and approved, get the project funded. 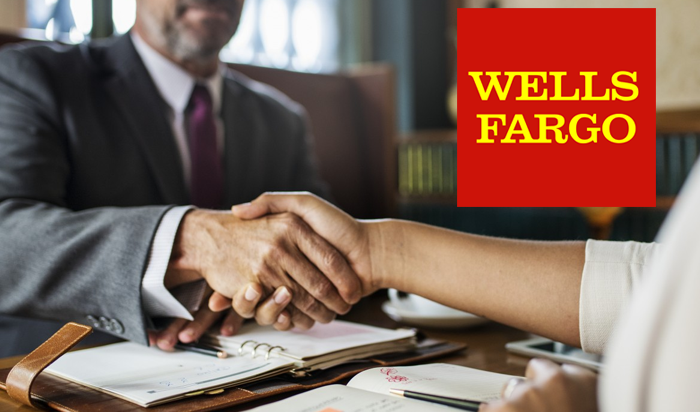 Our team knows the industry thoroughly, so we are able to help our customers choose the right loan program that fits their needs and ultimately help to achieve their long-term plan. We understand all aspects of a business plan from the complete start-up cost to marketing. We also understand what it takes to be a fee for service business and how to approach cash flow needs from that perspective. 8. What about lending for capital equipment purchases, like a laser – do you handle that and how difficult is it to obtain this type of loan? We have a healthcare equipment lending group that we will engage to help you evaluate potential options to finance this type of request. Our equipment lending group only lends on equipment and offers highly specialized expertise in this area. Ultimately I would recommend reaching out to your banker who can make suggestions based on your unique situation. Medical aesthetics experts Louis Frisina and Tim Sawyer, President of Crystal Clear Digital Marketing speak on a wide range of topics including the main blind spots of people entering the medical spa industry, their biggest driving fears at the beginnings of their careers, and much more! 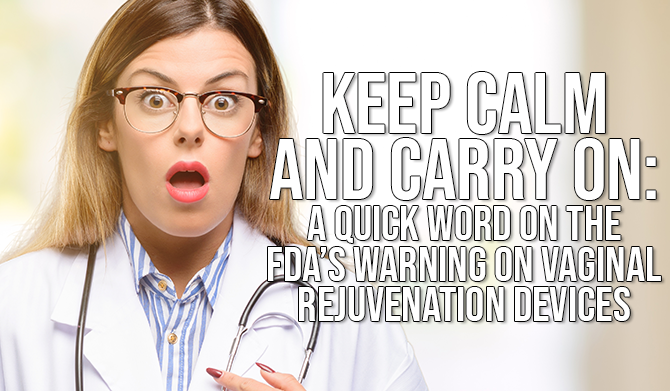 Louis Frisina is a medical aesthetic luminary who is, among other things, credited with introducing Restylane to the American market. He now runs a consulting firm and a hedge fund, both targeting this booming industry. Tim Sawyer is Founder and President Crystal Clear Digital Marketing, one of the premier digital marketing firms in the medical aesthetic space. Both will be presenting at the upcoming Med Spa Boot Camp in Los Angeles, CA April 7-8. Register here! AmSpa Founder/Director Alex Thiersch and Director of Operations Cathy Christensen sit down with their long-time friend Terri Wojak, LE/President of True U Education. They discuss her book, Aesthetics Exposed (with an update on the horizon! ), her career in aesthetics, her work advocating for aestheticians, working with world-famous plastic surgeon Steven Dayan, and more! Terri Wojak will also be presenting on selecting the right treatments for your med spa at the Rosemont Boot Camp next weekend, March 10th-11th. Register here! Medical spa business and legal advice and tips are things many places around the Internet claim to offer. Very few of them, however, can back up that advice with actual expert opinions. Helping medical spa owners and operators learn about the industry and improve their businesses are the primary goals of the American Medical Spa Association (AmSpa), and to that end, we’re introducing a new podcast series that is designed to both educate and entertain. Listen to the first episode below. This series features conversations with successful entrepreneurs in the business of aesthetics. We’ll talk to them about their experience, their stories, their backgrounds, and their success, and we’ll ask them for advice about what it takes to be successful in the business. We’re planning to have a number of well-known guests, but we’re also going to pursue interviews with businesspeople who are just getting started in the medical spa industry, as they have extremely valuable perspectives to offer as well. However, these conversations are not going to be stuffy, all-business conversations—we want to create a more relaxed atmosphere in which we and our guests can have some fun and demonstrate our personalities. Our first episode, for example, was recorded over drinks at a bar in Dallas. We might not use this as the setting for every episode—the sound quality is less than ideal due to the background noise, for example—but I think the finished product demonstrates what a good time we had that evening and offers the sort of industry insight that you can’t get anywhere else. The first episode features a conversation with Terri Ross, managing partner and director of Lasky Aesthetics and Laser Center in Beverly Hills, Calif. Terri’s business expertise helped to increase Lasky’s revenue by 500 percent in her first 18 months with the company, so her insight is not to be taken lightly. Terri has also worked for companies such as Zeltiq, Medicis, EMD Serono, and Johnson & Johnson, so she also possesses a breadth of knowledge that is very impressive. AmSpa Executive Director of Operations and Communications Cathy Christensen, ByrdAdatto Partner Bradford Adatto, and I spoke with Terri about a wide range of topics, including her experience in the medical aesthetic industry, her thoughts about how to hire talented people who will continue to add value to a medical spa for years to come, the treatments that have brought her and her medical spa the most success, and management techniques that help her operate her business at peak efficiency. And on the lighter side, she relates some funny stories about her time in the industry, and I reveal myself to be an expert on scrotox. We hope you’ll join us for this series. The first episode was a lot of fun to make, and I think you’ll enjoy it and learn something too. We will release new episodes as we make them, so the schedule may be a bit erratic, but we hope you feel that they’re worth the wait. 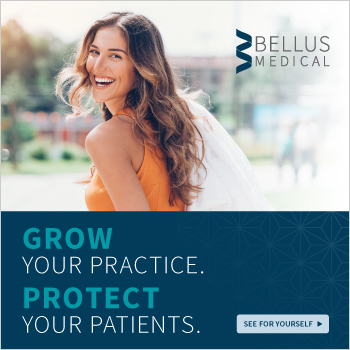 When you see us out and about—such as at The Medical Spa Show in Las Vegas from Feb. 9 to 11—let us know what you think about the podcast and what you’d like to see from it in the future. Sign up for AmSpa’s email newsletter to find out when new episodes drop, and to read about industry news and updates from the American Med Spa Association.